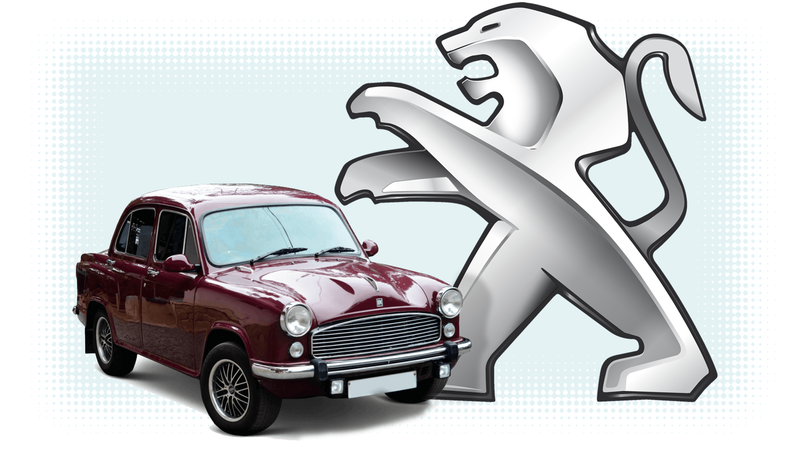 In a move that I can’t say I’d have predicted, PSA Peugeot-Citroen is buying the Ambassador name and related branding and trademarks from Hindustan Motor’s parent company, C K Birla. What they’re planning to do with the legendary (well, in India) Ambassador name hasn’t been revealed, but, of course, we can guess. The deal went down last week to the tune of around $12 million. PSA has entered a joint venture with C K Birla to build cars in India, so it’s a safe bet that those new cars may be sold under the Ambassador name. The Ambassador was the car that put India on wheels. Based on a Morris Oxford, the Amby went into production in 1958 and continued on to 2014, gaining technical improvements and updates, but keeping the original, distinctive and archaic body design the entire time. That, of course, was a huge part of the Ambassador’s appeal, and Ambassadors defined the look of Indian traffic for decades. When Maruti-Suzuki entered the Indian market in the ‘80s, the Ambassador’s dominance was over, with the Japanese-designed, vastly cheaper and more modern cars taking over the market. The Ambassador hung on in a few niche areas, mostly taxis and as cars for politicians, making the Ambassador possibly the car most likely to sport little flag holders on its fenders. Even so, it was very outdated, and hardly any private citizens bought them. So, with PSA announcing their big push to re-enter the Indian market in 2018, we now know what form that’s likely to take, or at least the name. It’s possible PSA could use Ambassador as the name of a new low-end sub-brand for India, in the same way Nissan brought back the Datsun name, and also similar to Renault’s Dacia brand. I’m hoping PSA will respect the heritage of the Ambassador and not just slap the name on some anonymous little hatchback. This is one of those situations where a bit of retro-inspired designs make sense, and I think a modern take on the classic Ambassador look would give their cars an edge in an increasingly tight and competitive marketplace. So far, PSA hasn’t given any details, so I guess we’ll wait and see. This is a smart move by PSA. If you have to enter a market, why not come in with the name of its founder? I wonder if they'll use the Avigo name, too?